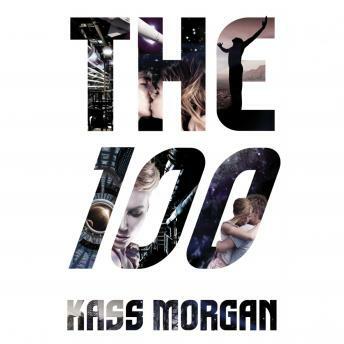 Listen to "The 100" on your iOS and Android device. The first book in the New York Times bestselling series that inspired the hit CW television show. No one has set foot on Earth in centuries--until now. Ever since a devastating nuclear war, humanity has lived on spaceships far above Earth's radioactive surface. Now, one hundred juvenile delinquents -- considered expendable by society -- are being sent on a dangerous mission: to recolonize the planet. It could be their second chance at life...or it could be a suicide mission. Clarke was arrested for treason, though she's haunted by the memory of what she really did. Wells, the chancellor's son, came to Earth for the girl he loves -- but will she ever forgive him? Reckless Bellamy fought his way onto the transport pod to protect his sister, the other half of the only pair of siblings in the universe. And Glass managed to escape back onto the ship, only to find that life there is just as dangerous as she feared it would be on Earth. I loved the show. Mostly because of the Grounder culture they did. This book tho is more Arker inclined and that's interesting for me than what the series shown. I suggest you watch the show too if you like Grounder culture and badass lesbian wielding double swords, yes I'm describing Commander Lexa, she's awesome, though I read that she isn't part of this book. :) i like Clarke on the show more than Clarke on books, Glass though. :"> She took my heart with her story here plus her description is actually Clarke on the show. Blonde hair, Blue eyes. ???? Good book. Reminds me of Divergent though. Goes quickly and the narrator is very good. Was a quick read. But, I'm not sure I will download the rest of the series at this time. Love the show so decided to give this a try. This book was very boring and I did not enjoy it at all. Just kept switching from Wells to Clark to Bellamy to someone named glass who was never in the show. Don't waste your time. The show is way better than this book. I loved it all. I watched the show everyday!! Every moment I could I would be doing something The 100 related. I wanted to listen to the book but I was a little on the edge about the people ready it. The voices ready the book made it perfect! It created the characters personalities! I LOVED IT!!! I loved the show and the book just make sit better can't wait to read the next one!!!! !